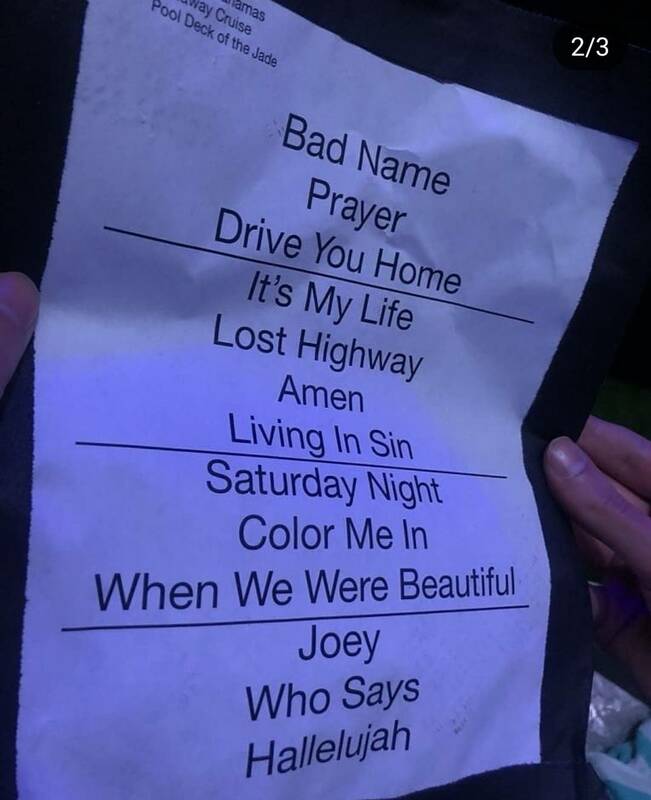 Anyone know what got played last night or what JBJ answered in the Q&A? I've seen some snippets of Prayer, Bad Name and Who Says You Can't Go Home but nothing else. JBJ hair looks like the HAND era... But grey. Didn't sound in great vocal shape on the videos I watched. Excuse me, has anyone got a bottle of orange juice?! Imagine paying that money and hearing Who Says! I’d jump overboard! He's looking quite good atm. Can't say the same about his singing but that's as per usual these days. I could handle Who Says better than Hallelujah. I'm not a fan of that one, no matter who sings it. But he would have made up for it with I Will Drive You Home and Color Me In. I like the Stray Cat/Ray Charles Bad Name, too, assuming that's the one he did. Not a bad set. Man, imagine being finally free from playing the hits and knowing you'll have a crowd of people not begging for Bad Name at every show. Don't get me wrong, it's great to see these rarities but they're the same ones these shows tend to get. It's just just a great chance to do the songs that fulfill you creatively and not need to deal with casual fans and lighting/video cues.